A mental health and wellbeing text service aimed at young people has been launched across North Yorkshire. Compass Buzz aims to improve the mental health and wellbeing of children and young people aged 5-18 – or up to 25 years for those with special educational needs and disability- in schools across the region. The project’s new addition of a confidential text service, which is called Buzz Us, is specifically aimed at 11 to 18-year-olds. 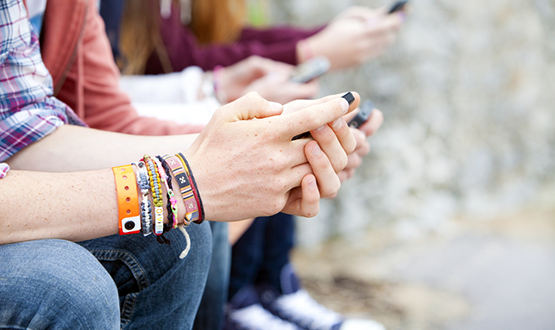 Young people can text the service and receive a reply containing advice or support from a wellbeing worker within one day. Compass Buzz team leader, Emma Tymon, told Digital Health News that the whole concept was designed with the help of young people. Tymon added that even the project’s name, Buzz Us, was approved by them, as they said it resembled the noise a phone makes. “There is a huge stigma surrounding mental health and wellbeing and young people, and studies show that they are less likely to go to someone and talk if they have worries,” she said. “But if they can text anonymously, they are more likely to use this type of service. Buzz Us has been commissioned by NHS Hambleton, Richmondshire and Whitby Clinical Commissioning Group (HRW CCG) which covers Vale of York CCG, Harrogate and Rural District CCG and Scarborough and Ryedale CCG. Dr Charles Parker, local GP and clinical chair at HRW CCG said: “On behalf of all North Yorkshire CCGs I am so pleased to see the launch of this new service. “Trying to help young people feel safe and empowered to speak-up for their own mental health and wellbeing is so important. The service is open Monday to Thursday, 9am-5pm and Friday 9am-4.30pm (excluding Bank Holidays). The Buzz Us text number is 07520 631168. The national conversation on mental health and wellbeing is increasing. In October last year, the Duke and Duchess of Cambridge along with Prince Harry announced a £2m investment to establish a new start-up to support mental health digital tools.